I have been looking for a week to get a primer written on sorting for a while, as it is something that is requested of me regularly. I cannot fit everything into a singular article, so I sat down this week while Standard was a little slow still, and I wrote out a basic outline. Down the road, I may approach some of the more in-depth information, but for now, I want to stick to the information that is useful for everyone, casual player to small start-up store alike. While I do not want to leave this week completely void of any Standard information, I do want to spend most of this week covering sorting. As a compromise, I do want to briefly discuss one of the decks that showed up this past week courtesy of Jeff Hoogland. While I would love to speculate on a few cards in this deck, the reality is that Standard prices are going to be relatively flat for a little while, as the format seems to be stable, and while new decks like this do crop up, they are probably not format-warping. Modern is where all of the action is right now, and though I am familiar with the market, I believe most of the price spikes are artificial, and even those that are not have little value buying in now. 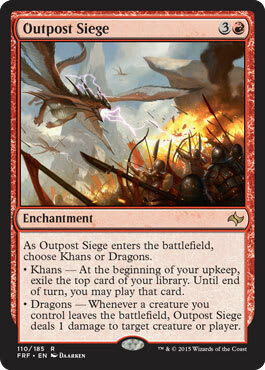 I believe the four Outpost Sieges provide a great place to be right now, and that would have attracted me to this deck regardless of the finish—the fact that it won means, unfortunately, that it will be on people’s radars. The overall cost of this deck is relatively low, meaning if you are looking for a cheap deck to swap into for the summer, this may be a good place to look. Goblin Rabblemasters will hurt, but he may hold his value longer than most given how necessary he is to so many of these cheap strategies. All right, now that I got my Standard itch out of the way for the week, it’s time to move into the meat of this week’s article: how to sort your collection. As I have said before, there is a multitude of great ways to sort your collection based on what you are looking to get from it, but for this week’s article, we are going to assume you are looking to set-sort and alphabetize. This is generally the best way to prepare your cards for either buy-listing or other forms of sale, but it’s also great if your collection grows too large and you are looking to quickly find specific cards as opposed to specific strategies or colors. The first step if you are going to be doing this on a regular basis is to invest in a sorting tray—simple by design, but it can save you hours of work over time. Depending on how many cards you are looking to sort, it may be best to also set up an additional free space for when your stacks grow precariously tall or your tray becomes full. If you do not have a sorting tray or do not feel you will be doing this regularly, I would still suggest the same piles you would use for the trays. While there are other trays that have more slots, I find the twenty slots work well and fit well enough on a small table, making it easier to move to the cards rather than making them move to you. The missing letters are due to the fact that there currently exist no sets currently in print that use them. K was a new addition last year with Khans of Tarkir, but combining it with L still works well enough. So now that we have a basic outline of where to start, it seems relevant to mention a few small notes before you start. In the future, I would like to release some video content on exactly what techniques I use for sorting, but for now, I will just run over the basics. This first one seems extremely simple when you think about it, but I still see people set-sort right-side-up. If you flip your cards upside-down and push to the right, you can see the set symbol first, making the amount of movement required to identify each card minimal. While explaining exact hand motions to ease the process and minimize any damage to cards will take a video tutorial, it does not take much to get into a rhythm once you get ahold of the tray and learn to slide cards rather than setting them in each slot. Once you have everything broken down by its letter identity, it is best to clear the tray if possible; this is where that second surface comes into play. I usually just mirror my stacks from the tray onto the table so I do not lose my place, but any way of getting them out of the way will work. If you are lacking in room, you can take an empty rowed box and use sleeves to divide the letters. From here, we simply divide each letter into the individual sets. This will be a real hassle for the letter M, and yes, you will probably have to clear the tray twice as often for that letter—that is not abnormal. 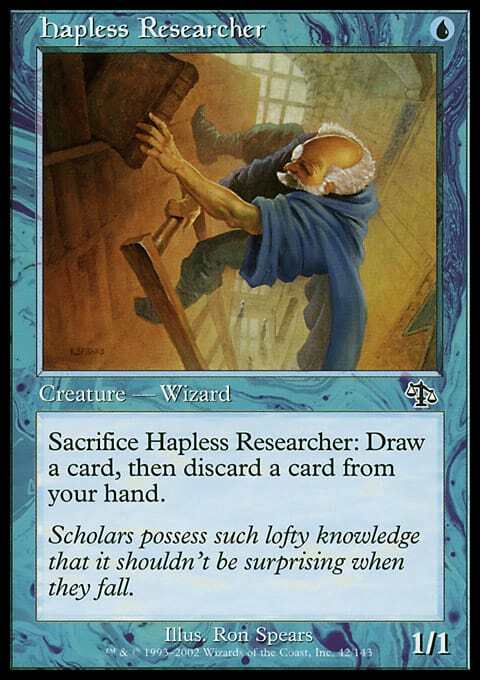 On that note, Thank you, Wizards of the Coast, for not naming another core set Magic 20XX. Magic Origins already has me excited just for that reason. Some letters will break down very easily, and others will take a little more time, but luckily, the ones that are bad are not right next to each other, so you have a bit of a reprieve if you are going straight down the alphabet. Once you have a letter broken down, just alphabetize the cards individually in the same order. Antiquities comes before Arabian Nights but after Alpha. This is pretty much the standardized way most buy lists will have sets listed. I use the same breakdown when alphabetizing cards within the set, adding the letters that did not exist to the smaller of the two next to it. You may want to vary this based on set, as some will have a lot of one letter or another due to tribes or factions. 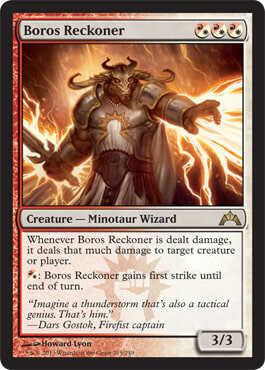 If I notice a lot of cards are starting with Boros or something like that in the set, I will usually stack all of them together and sort them apart, as you can then ignore the first word. As long as it all ends up in order, whatever method you find works best for you is fine. That’s really all there is to the basics. It can both conserve a great deal of time and space to use this method over just sorting them by set on the floor. This can also help you quickly identify what cards you have if you are just looking for singles, both for decks and for sale. There are a few things that differ from list to list, such as where the placement of Revised Edition (A.K.A. 3rd Edition) through Tenth Edition (A.K.A. 10th Edition) are on the list. I sort them into M and put them after the M10–M15 core sets, as that works well for our list, but putting them before makes more sense timeline-wise and for a variety of other lists. These types of things come with time, and a few runs through, but for now, I hope you have a better idea of how to break down the daunting project and tackle it head on. This process also works great if you are looking to do it over time, as you can usually set up in a corner and not take up an entire room for multiple days. Next week, I will be back to the same old Standard, hopefully with some new blood to mix things up a bit. I am glad the format is so diverse, but it can make brewing difficult when you have no idea what you are trying to fight against that particular week. I am still focusing on Mardu Dragons for now, but I am relooking at Warriors from early on in the season, as the number of Esper Dragons lists floating around is not nearly as high. As always, if you have any questions or comments, please feel free to ask, both below and on Twitter.